Knowing what assessment to use for students with more complex communication needs can be overwhelming! I wanted to share with you a tool that is very helpful in my practice. The VB-MAPP. 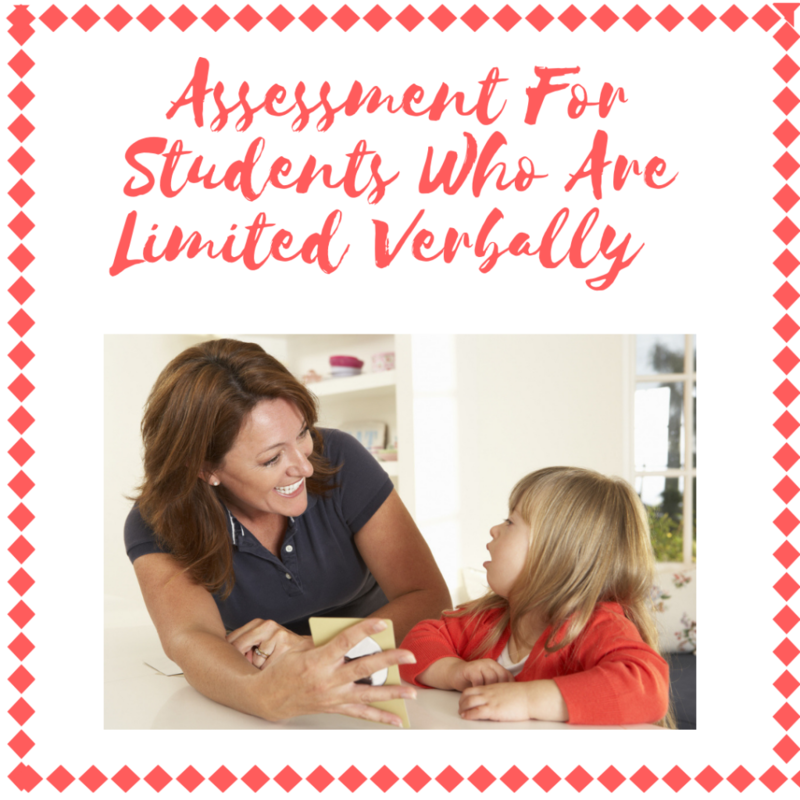 The Verbal Behavior Milestones Assessment and Placement Program (VB-MAPP) is a wonderful assessment that is such a valuable tool when working with children who are limited verbally or non verbal. I use it on a regular basis to get a clear picture of how my students are using their language to communicate: I give the assessment when I start working with a new early learner, and then update the assessment once a year to gauge the student’s language growth. Areas of assessment include Manding, Tacting, Listener Responding, Visual Perceptual Skills and Matching to Sample, Independent Play, Social Behavior and Social Play, Motor Imitation, Echoic Skills, Spontaneous Vocal Behavior, Listener Responding By Function, Feature and Class, Intraverbal, Classroom Routines and Group Skills, Linguistic Structure, Reading, Writing, Linguistic Structure, and Math. In addition to the previously-mentioned skills assessments, an Early Echoic Skills Assessment (created by Dr. Barbara Esch), Barriers Assessment, and Transition Assessment are all included. Interested learners can find the assessment, as well as additional information, at www.avbpress.com. I created a webinar all about the VB-MAPP. Put your email in the form below and it will be sent your way! Hi Ross… I’ve been receiving your mails and go through them with a lot of interest. I am also a Speech Language Pathologist and am into Early Intervention. I mostly work with children with ASD, SPD, GDD etc. I see you apply ABA in your speech therapy strategies with young children with ASD. I follow the Hanen principals and am also getting good results. Yet I would like to know more about Speech Therapy plus ABA principals. Are there any of your videos or any other videos that I can watch ? Any other resources ? Would love to hear from you. I am from India.